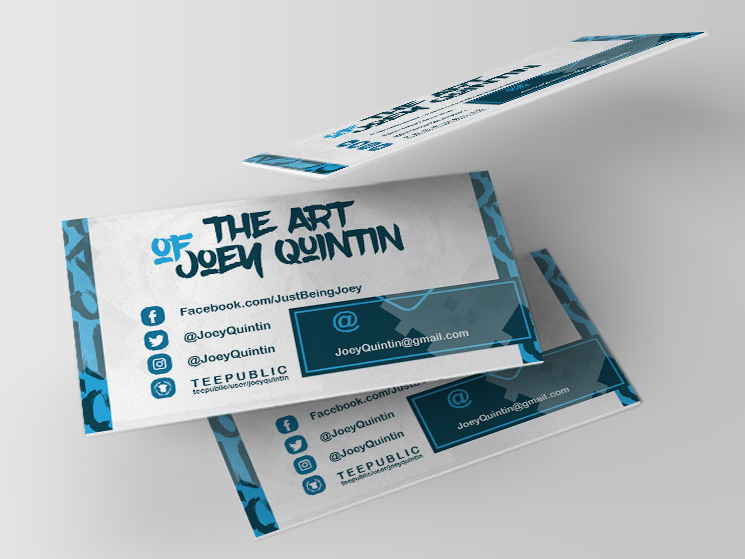 Lucian Petronel Potlog designed these business cards for Joey Quintin, an illustrator based in Orlando, Florida. 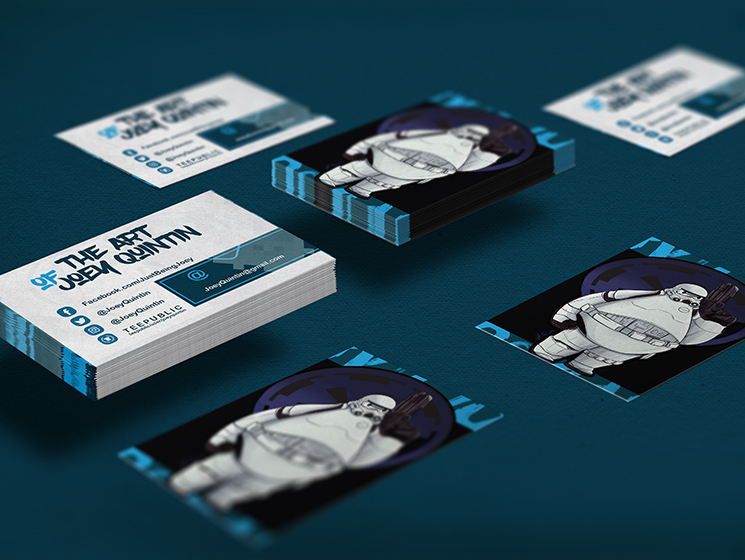 “The client contacted me in order to create his business cards design. The illustration placed on the back of the cards is his artwork and that was my main source of inspiration,” Lucian said. 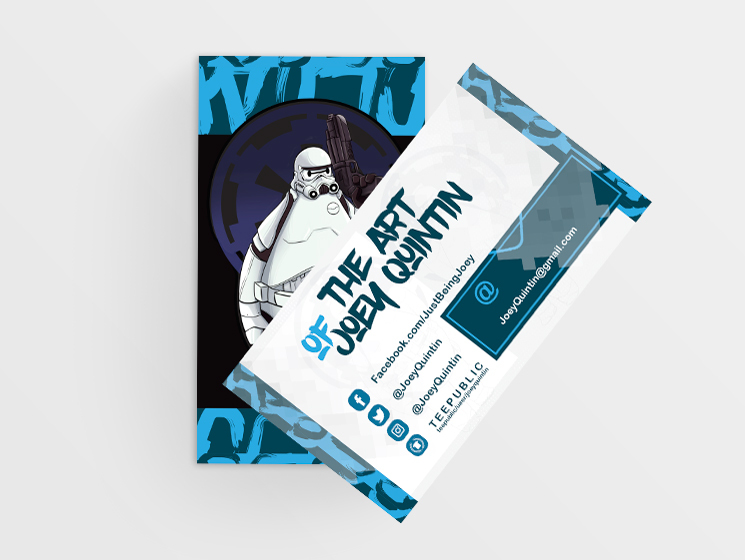 The Stormtrooper Baymax is an eye-catching illustration and no doubt, people will be curious with what other drawings Joey Quintin has to offer.  With the back side relies heavily on illustration, it’s smart to leave the front side with all the necessary contact details to reach the illustrator. “The title font and the brush pattern was done in order to highlight the artistic side of the client,” and Lucian was right: from the fonts to colour choices, including the dark/bright background on respective sides of the cards, everything blend in perfectly. The entire visual identity shows personality and is catchy enough to make you look twice!